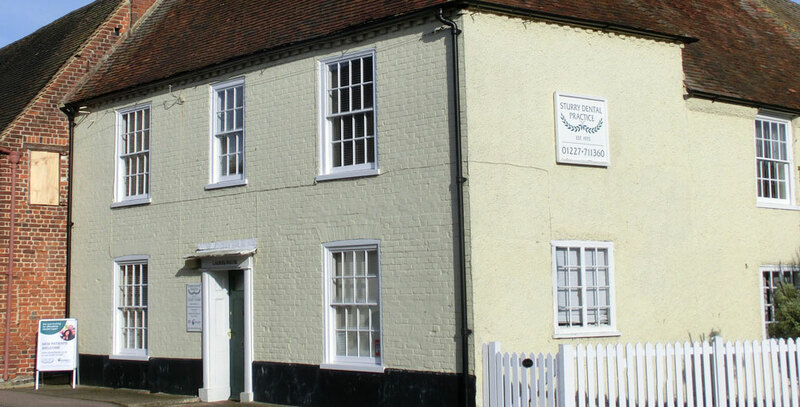 The Sturry Dental Practice was established in 1973. We are a private practice, and offer dental payment plans arranged by Denplan to help you spread the cost of your dental care. We are a Denplan Excel accredited practice committed to high standards of preventive care. We provide a wide range of treatments including routine dental care for children and adults, restorative treatments, dentures and cosmetic dentistry. In dentistry, prevention is always better than cure and protecting your teeth minimises the amount of dental treatment you should need, so we place great emphasis on preventive care, working with you to protect your teeth. You can be assured that any treatment we provide will be to the highest standard employing the most up to date materials and techniques. We recommend Denplan as an affordable way to budget for your dental care and an alternative to paying for treatments each visit. Denplan Care: This starts from only £15.34 a month and provides all examinations, preventive care and treatment necessary to keep your mouth healthy. Family discounts are available. Denplan for Children: This is a great value at only £5.75 a month and includes two examinations and one hygienist visit a year plus all preventive treatments such as fluoride application and resin fissure sealants. Denplan Essentials: This provides two examinations, routine x-rays and two hygienist visits a year. Additional treatment will be at our private rates with a 10% discount. Your first visit to The Sturry Dental Practice is an ideal time to meet our friendly team, have a look around the practice facilities and ask any questions you might have.